Face Off Max - the program will help you make the pictures by putting your face on another cheto photo. Have you ever wondered how you would look with another body? Would not it be in a celebrity group or on a magazine cover? Now Face Off Max will allow you to do so, and to amuse his colleagues and friends. 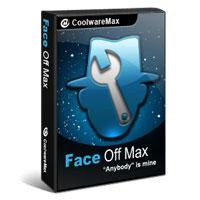 Face Off Max has a simple and convenient interface, instructions and hundreds of fantastic templates allow anyone to become a professional artist.